The need for such steps by foreign donors is as relevant as ever as the PA just added four new families of terrorists to its growing terror rewards payroll. One terrorist shot a pregnant woman, forcing an emergency delivery, but the newborn son died a few days later. Another terrorist murdered two of his Israeli coworkers. The other two terrorists were killed while attempting to kill Israelis. The families of the four terrorists will now receive monthly allowances for life. In July 2014 following a previous presentation by PMW to Dutch MPs, the parliament voted 148-2 to cut funding to the PA if it continued paying salaries to terrorists. However, the cut never happened because the PA deceived Western donors by closing the Ministry of Prisoners' Affairs and claiming the payments were made by the PLO from non-donor money. When PMW exposed the PA fraud, in 2016, the international community was outraged. This and PMW's continued documentation of the PA payments, led to the US Taylor Force Act, in March 2018, which conditions most of US aid to the PA, and to the Australian government's decision, in July 2018, to cut all its direct aid to the PA. This is the first time since PMW exposed the PA's deception in 2016 that a European country has legislated to cut funding because of the PA's payments to terrorists. 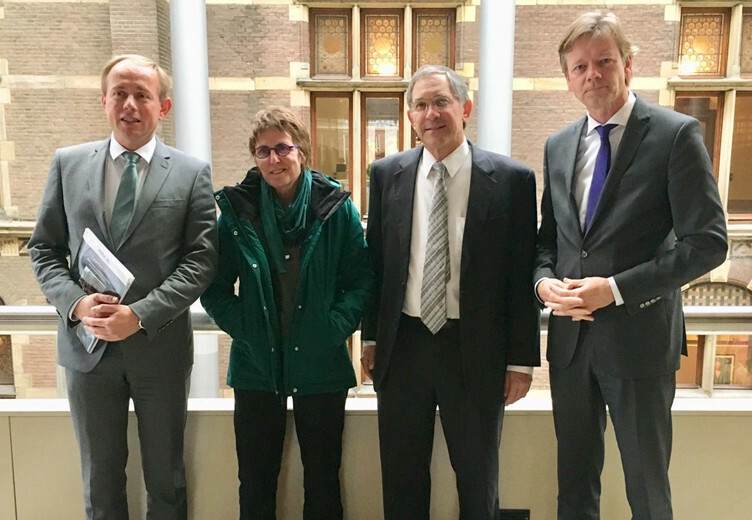 During his recent talk to the Dutch MPs, PMW Director Itamar Marcus documented that the PA continues its monthly payments to terrorist prisoners and families of killed terrorists. Kay Wilson, who survived a terror attack, also addressed the MPs. “Due to the continued support for the families of terrorists, the Netherlands must reduce its development aid to the Palestinians. That is what ChristenUnie and VVD (People's Party for Freedom and Democracy) have presented today in a parliamentary debate on development cooperation. The proposal will probably receive support from a majority of the House of Representatives.